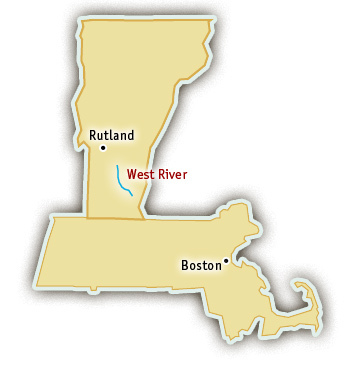 The West River originates in the Green Mountains of Southern Vermont. West River rafting trips begin at Ball Mountain Dam and float ten miles through Jamaica State Park to Townsend Reservoir. Zoar Outdoor– Offering a wide range of outdoor activities, Zoar Outdoor has been a leader in the industry since 1989. Zoar Outdoor promotes self-propelled, low-impact, wilderness recreation in the Northeast. Zoar offers whitewater rafting trips on the Deerfield and West Rivers. 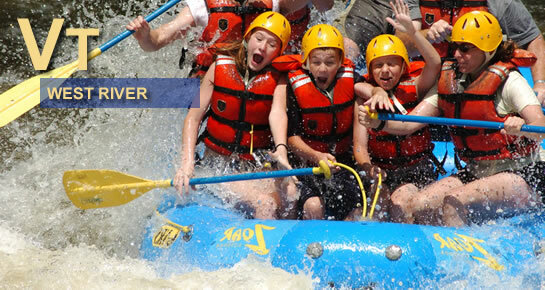 Visit their website for more information about West River Rafting. West River rafting trips offer plenty of beginner Class III rapids with one Class IV. The rapids are mostly long and continuous wave trains. The canyon starts out narrow and gradually opens up. The first taste of whitewater begins with Landslide rapid. After several miles of continuous whitewater, the biggest challenge of the day presents itself– Dumplings rapid (Class IV). Negotiating the rapid is tricky, the river’s natural s-turn pushes each raft’s paddling skills to the limit. After Dumplings, the river mellows, providing time to enjoy the countryside of the Green Mountains. This river is dam controlled and has scheduled releases from late Spring to early Fall. 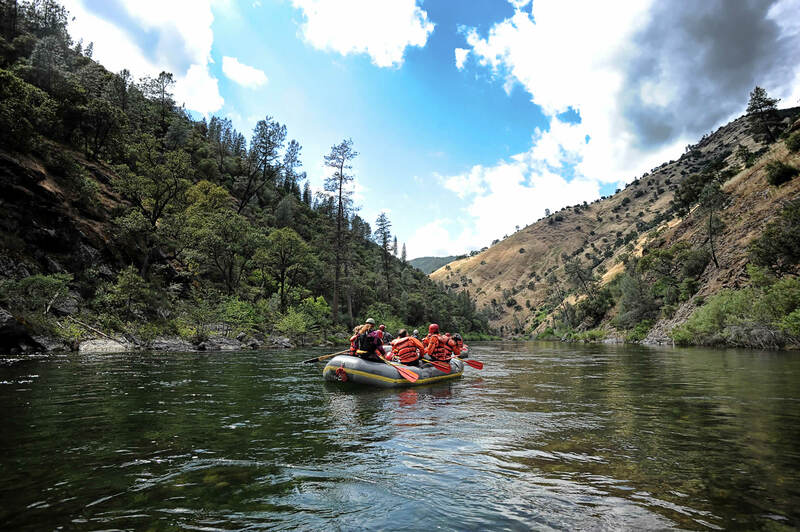 The best times of year to plan a West River rafting trip are in the Spring, when the canyon is filled with lush foliage, or in the Fall when the trees burst in the vibrant colors of autumn.